I recently returned from an eight week overseas trip, a combination of holiday and business. No sooner did I arrive home only to find we have a new PM and Cabinet with more female representation than ever before. This is a progressive move and one that is reflective of what is happening in the real world. 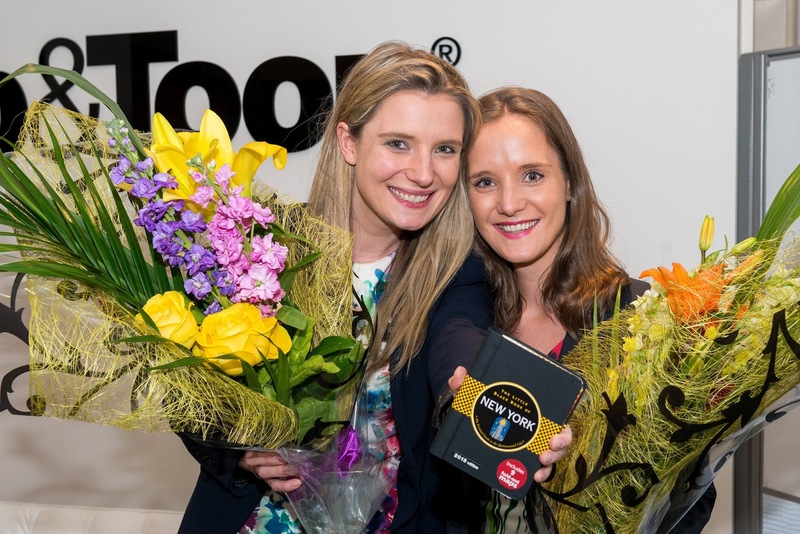 At Toop&Toop we have a very balanced mix of male and female staff and we recognize leadership qualities regardless of gender. Having spent time with the best agents from around Australia (and agents in the USA Silicon Valley)...I have come to the realisation that here in South Australia we are world class when it comes to real estate marketing. In fact we are well ahead. While I was away, my two daughters, Genevieve and Suzannah, with the help of the team, entered a national business competition organized by NOVA Entertainment based on leadership principles. Genevieve & Suzannah Toop, our leaders in action. The prize included a trip for two to New York to attend the "We are Story Makers World Business Forum" and meet Sir Richard Branson. The team was up against tough competition with high level submissions created by leading advertising agencies. Our inhouse marketing and IT team, Hoot&Toot quickly put together a video on Toop&Toop's view on leadership. This included references to the girls taking over the reigns of the business while I was recovering from cancer, to instigating great initiatives such as the Toop Wellness Centre and Toop Crche for the exclusive use of our 130 staff members. I can still see the shock on Genevieve's face when she announced to us in a meeting "We won." Then came the realisation that our team, who assist our sellers and landlords every day of the week with their marketing and online strategies, beat some of the biggest names in the Australian advertising industry. WOW! Take a look and see what you think of their winning entry on nova.toop.com.au. I was very proud. Creating a winning culture is important to our business. Last week Genevieve launched our brand new Toop&Toop App. This is world class with features never seen before to make buying property easier. It is being seen and observed by the big players in this space. Register now and see properties within hours of being listed by our agents. Suzannah looks after our Property Management area and has developed MyMaintenance. The system is saving landlords thousands of dollars in maintenance. Suzannah has patents pending on her technology. If you are a landlord, you need to see this in action. It's world first stuff. Leadership in action. This week where Australia's leadership has been a hot topic with more women being rewarded in Cabinet, to having two young South Australian females leading an industry and winning a National Leadership competition is both exhilarating and exciting. Let's celebrate these wins and motivate each other to continue leading the nation. Go SA!